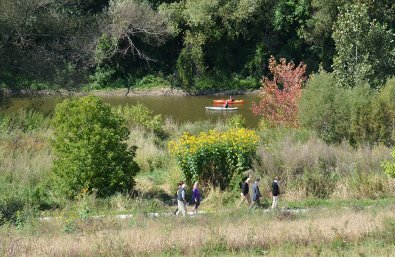 The Fund for Lake Michigan is supporting the restoration of one mile of riparian corridor along the Milwaukee River as part of the Urban Ecology Center’s Rotary Centennial Arboretum. The 40-acre site now includes barren industrial land and other degraded parcels. Support from the Fund for Lake Michigan will enable UEC to mitigate runoff threats, fill erosion gullies, create bioswales, and install biodegradable erosion control materials.